Is human language unique in the animal world, or does it have meaningful precursors in animal communication? 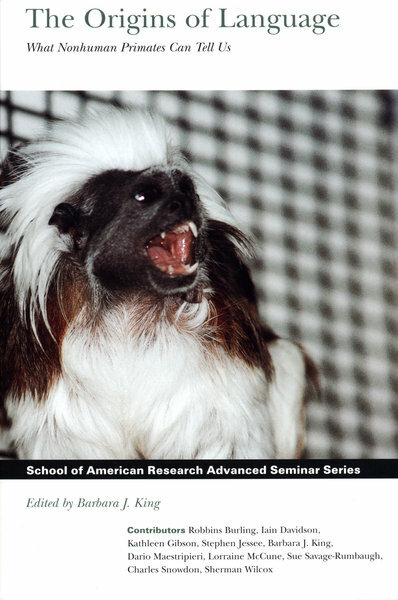 In The Origins of Language, ten primatologists and paleoanthropologists conduct a comprehensive examination of the nonhuman primate data, discussing different views of what language is and suggesting how the primatological perspective can be used to fashion more rigorous theories of language origins and evolution. Together, the essays make a powerful case against the position that language is an innate biological system unique to humans and demonstrate that many aspects of language likely have a long evolutionary history-one that extends back beyond hominids to encompass our closest living relatives in the animal world. Children’s Transition ot Language: A Human Model for Development of the Vocal Repertoire in Extant and Ancestral Primate Species?